Reminder: FAST Friday Fast Approaching! March 9 will be Movie Night And our next FAST Friday at the Colorado Center for the Blind – our monthly activity for blind youth and their families. 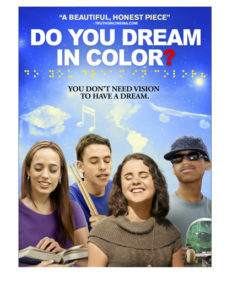 We’ll kick the evening off with pizza, then watch the documentary film, “Do You Dream in Color?” It follows four California high school students who are blind as they strive to follow their dreams. 1 hr 14 min with audio description. Popcorn provided. Discussion will follow. Constellations! we’ll have Arapahoe Community College Astronomy Instructor Jennifer Jones and her students work with us to understand the night sky, stars, constellations and everything! The evening will feature dozens of tactile graphics and 3D representations. The time will be determined, so stay tuned. For questions or more information contact Brent Batron at 303-778-1130, x222, or bbatron@cocenter.org.